Fashionable Highlights in Nailpolish Design! Do your notes always look like a fun and colourful piece of art? Highlighting is not only a wonderful and fun activity, it also helps you select your learning material. But why do highlighters always have that same boring square design? Highlighters should shine in your pencil case, just like their colour! With High Stylers Highlighters, your pencil case will definitely stand out! 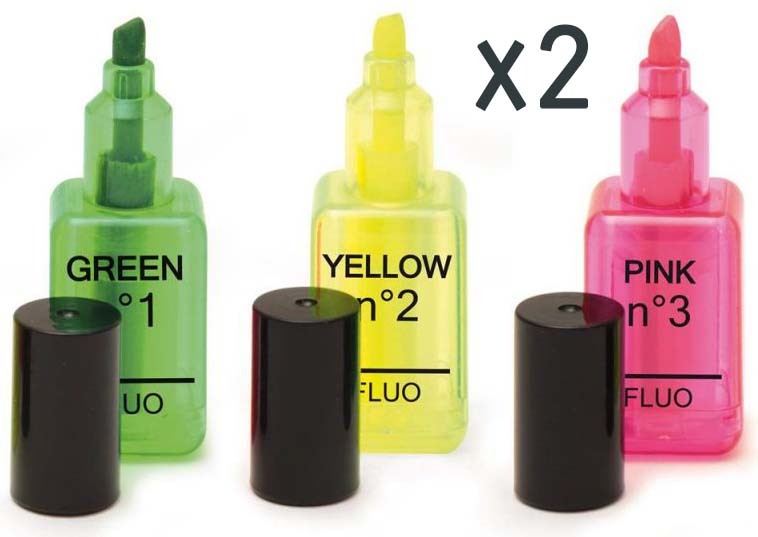 These cool highlighters are disguised as nail polish bottles and are available in 3 trendy colours. Fool your classmates and co-workers and let them think you are scribbling in your notes with nail polish. They will think you're crazy! 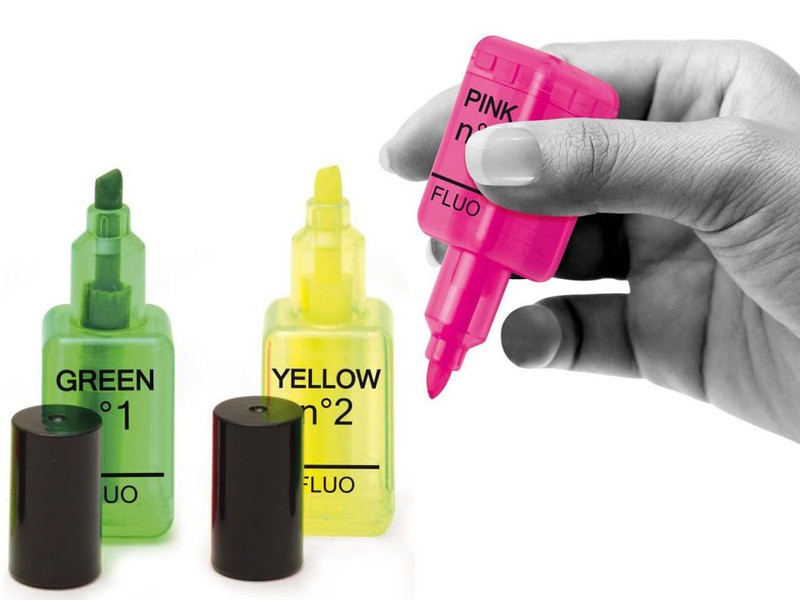 The set of highlighters comes in the colours yellow, green and pink. These original highlighters are the perfect gift for young fashionistas.